And the moment when you take your iPhone 6 headphones to listen to your favorite music and realize that the headphones aren't working well and making you unable to hear the music. You now feel helpless because you can't play it without headphones as it will trouble others and you no don't know what made this happen. Well! It can be hardware or a software malfunction that triggered the issue. Most probably, issues like iPhone 6 headphones not working are result of software glitches and simple troubleshooting ways can resolve these. Whatever be the reason behind it, we will let you know how you can fix this issue sitting at your home without going to the service store as well as on your own. Hence, go along with the following list and check what is best to do in such situation. When your iPhone 6 headphones are not working, there might be a problem with dust or dirt getting inside it. Try to clean it using a soft muslin like cloth or a tissue paper. Stay away from moisture by wetting it, the situation might get worse. Another reason for your headphones not working might be you have lowered the volume to the minimum. So, check it and turn on the volume a bit higher than it was. It should work now and make the volume audible enough for you. Apple products are crafted keeping security in mind, so not all accessories work well with them. Make sure that the original headphones are being used; else you can go for Apple authorized accessories and try them. Using AirPlay, you can wirelessly listen music on your iPhone6 headphones. 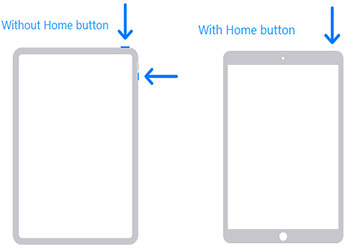 You can check, whether your device has been set up with AirPlay or not. Launch 'Control Centre' and tap on the audio card from the top-right corner and then turn on the AirPlay. Now, select your iPhone 6 headphones to stream audio easily. Bluetooth might be interfering with your iPhone headphones functionality. So, it's recommended to turn it down. Go to 'Control Centre' by swiping up the home screen and click the 'Bluetooth' icon to disable it. Alternatively, you can browse 'Settings' and then go to 'Bluetooth'. Now, slide the bar to off position. In active condition the button will be green. If your iPhone 6 headphones are not functioning properly, then you can restart your iPhone to check if the issue gets resolved or not. In many case, force restarting the iPhone has helped people in great extent. Restarting sorts iOS issues and might get the headphones problem resolved too. If you have an iPhone 6/6S/6 Plus, then press the 'Sleep/Wake' and 'Home' buttons together. Once you see the Apple logo start glowing, release the buttons and let the iPhone restart on its own. Having an iPhone 7/7 Plus device, you need to hold down the 'Volume Down' and 'Sleep/Wake' buttons simultaneously. As soon as the Apple logo glows, release the buttons and allow it to restart. For iPhone 8/8 Plus/X, quickly tap the 'Volume Up' button followed by 'Volume Down' button. Hold down the 'Sleep/Wake' button till the Apple logo glows. Give it time to automatically restart. Even after trying the above tips, if your iPhone 6 headphones stop to buzz, it is high time that you go for Tenorshare ReiBoot. It has amazing features of fixing various iOS issues at once. 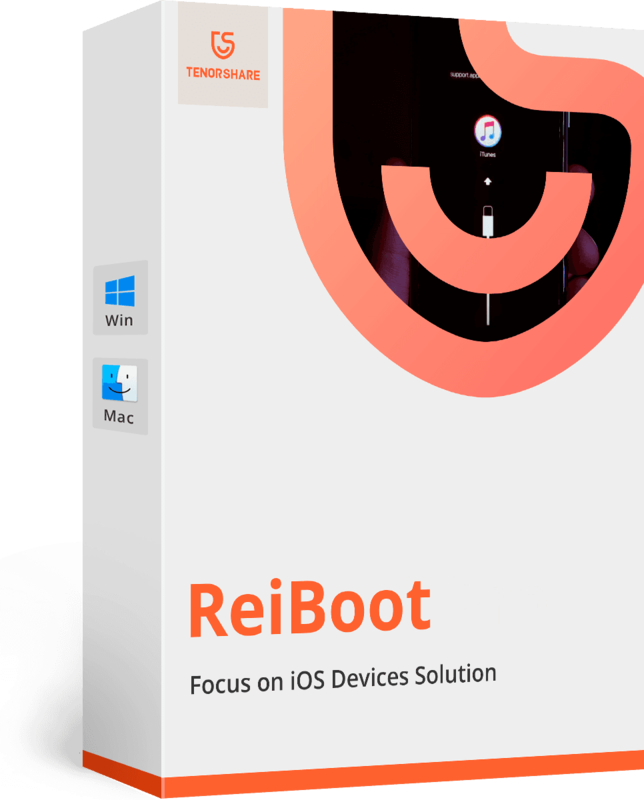 Whether the headphones are not working, your iPhone screen got stuck, frozen or got unresponsive; ReiBoot is the ultimate answer for all of them. Moreover, you can run the application both on a Mac as well as Windows system. Step 1: Install Tenorshare ReiBoot on your computer, after you download it. Get your iPhone 6 and connect to the computer using a lightning cable. Step 2: Tap on the 'Repair Operating System (Fix All iOS Stuck)' button from the Tenorshare ReiBoot program interface. You will be taken to the next window from there. Step 3: Now, press the 'Start Repair' button and start downloading the iOS firmware by clicking on the 'Download' button. Step 4: Re-tap the 'Start Repair' button and let some time pass. 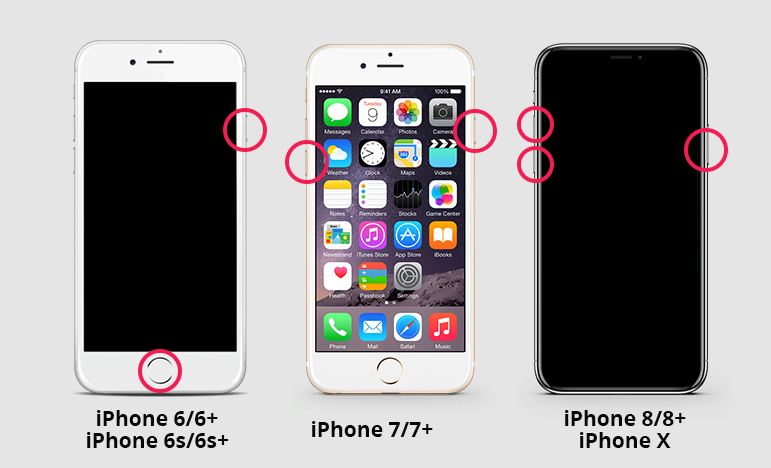 Your iOS issues will be resolved and your iPhone 6 headphones will start working as usual. From the above article, we have observed that resolving iPhone 6 headphones problem is pretty easy and quick. When you have ReiBoot from Tenorshare at hand, any tough iOS issue won't last long. 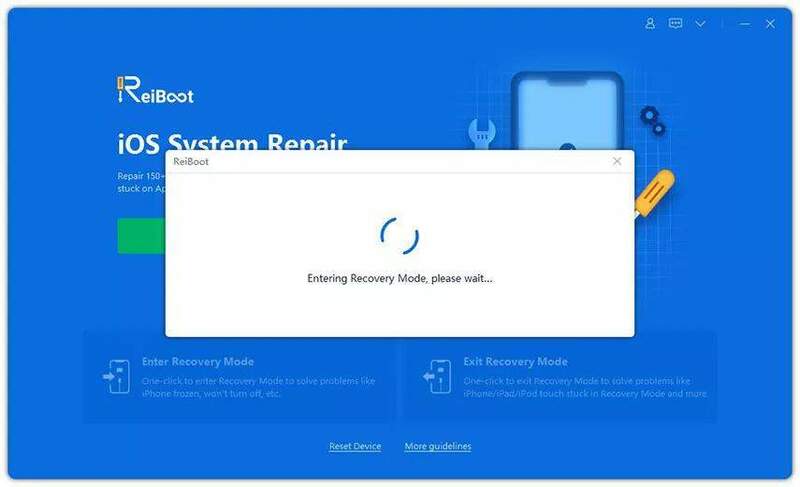 No matter how troublesome the issues are, ReiBoot's 'Repair Operating System (Fix All iOS Stuck)' feature can mend it at ease. There is no other option that can fix iOS issues with ease within such a short time span. iPhone Headphones Jack Not Working, How to Fix It?